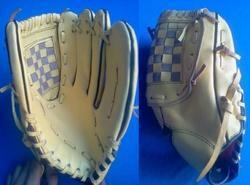 Size: 9.5" , 10" , 11" , 12" & 13"
We are one of the leading manufacturer of Base ball Gloves in Split Leather. These gloves are made from cotton and highly sweat absorbent, which help the batsmen to get a better grip on the bat. We use good quality raw materials. These gloves are made using best grade Cow Hide Leather, and are known for having characteristics like durability and great tear strength. With rich industry experience and knowledge, we are indulged in offering an excellent quality range of Leather Baseball Gloves. To fulfill the diversified needs of our prestigious patrons, we are highly engaged in manufacturing and supplying a wide range of Soft Leather Baseball Gloves. 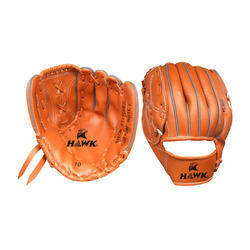 Being a leading enterprise of this industry, we are offering a huge range of Baseball Gloves. - Embossed Mizuno Digi-GripTM palm for enhanced grip. - Sublimated AirMeshTM back increases comfort and breathability. - QuikAdjustTM wrist tab with molded pull tab. We are proud to offer Base Ball Gloves for our trusted clients’ these products are sourced from our reputed vendors and quality tested at our vendors’ end. Our offered products are widely demanded all over the world due to their cost effective price range and available in fine design and has an amazing quality. We are a unique name in the industry, devoted towards manufacturing the best quality range of Baseball Leather Gloves. We are providing a range of PU Basebal Gloves to our clients as per their specifications. Matching up with the ever increasing requirements of the customers, our company is engaged in providing Antique Baseball Glove.